"Nothing but positive experiences for both my wife and I at Rollins Family Dental Center." "Rollins Family Dental Center is always a great experience." "Dr. Canty is a wise man. The assistants, hygienists, and office personal are great." "Love this dentist office! The staff is so nice! I highly recommend it!" "Totally recommend it. Awesome staff and doctor." "A fine experience and a modern facility with a dedicated staff." "I have been a patient for 23 Years. They are the best!" 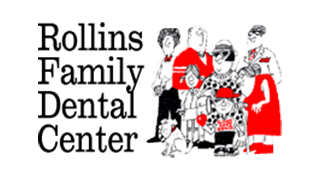 With a convenient Round Lake Beach location near Lake Michigan, Rollins Family Dental Center provides superior dental care to the men, women, and children of northeastern Illinois. Cleanings, cavity fillings, and whitenings are just the beginning: Patients of all ages enjoy a wide variety of services in a welcoming, modern office. The practice strives to perform at the highest level in general dentistry and family dentistry. Dr. David Canty and the entire expert staff of registered dental hygienists, and dental clinical assistants are professionally trained and experienced with the latest tools and techniques. From emergency care and oral surgery to cosmetic treatments and pediatric care, Rollins Family Dental Center is a one-stop shop for all things teeth, gums, and key areas between your throat and sinuses. Beyond providing effective dental procedures, every staff member brings a gentle touch and compassionate ear. They believe in sharing a wealth of knowledge with patients -- or their parents -- empowering them to develop better oral hygiene habits and make better personal choices among treatments. Patient education includes everything from preventive care tips and smile makeover advice to comparing the advantages of restorative dentistry options. Through every stage of a patient’s life, between teething and getting dentures, Rollins Family Dental Center is there to keep them smiling. Appointments are available by phone or online.